KIEV, November 27. /TASS/. Head of the Ukrainian Security Service (SBU) Vasily Gritsak has confirmed information about the presence of two agents from the SBU military counter-intelligence service onboard the Ukrainian naval ships that were detained this past Sunday in the Kerch Strait for breaching Russia’s state border. 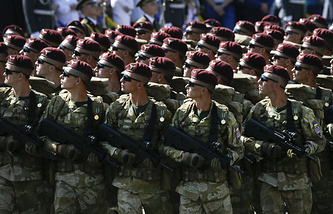 "The officers of the Ukrainian intelligence service were performing combat tasks of the counter-intelligence support department of the Ukrainian Navy, as stipulated in Article 12 of the Ukrainian law ‘On the Ukrainian Security Service,’" the SBU press service quoted Gritsak as saying. 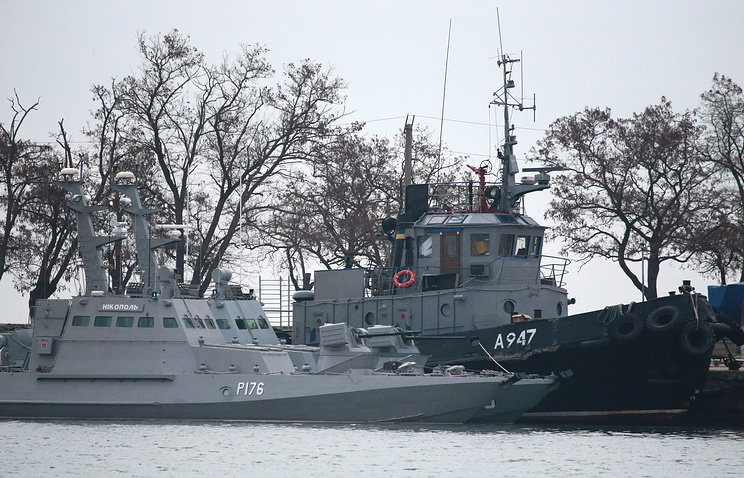 On November 25, three Ukrainian naval ships violated the current rules of passage from the Black Sea to the Sea of Azov and breached the Russian state border. The Ukrainian ships did not respond to the legitimate demands coming from the vessels of the Border Service of the Russian Security Service (FSB) and the Black Sea Fleet that pursued them to stop immediately and thwart their dangerous maneuvers. Rather than comply, the intruding vessels chose to continue violating the law, whereupon gunfire was used to compel the Ukrainian ships to halt. In the end, three Ukrainian servicemen were lightly injured and later received medical treatment. In addition, the ships were detained. A criminal case was launched on the violation of the Russian state border. The Russian side labelled this incident a provocation, while Ukraine’s authorities chose to initiate the imposition of martial law. Meanwhile, the EU and NATO called for a de-escalation of the situation.